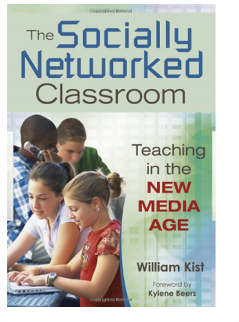 Over the weekend, I finished reading Bill Kist’s book The Socially Networked Classroom: Teaching in the New Media Age. Of course, given my past posts, this book really resonated with me. But I think it is a good resource for any faculty exploring the use of social media in instruction. One of the things I liked is that Bill is not totally commited to technology for technology’s sake, but rather really explores possibilities that enhance learning. The book is written primarily for the middle school and high school teacher, though I think it could easily be applied to higher education classes as well. The chapters are divided into Short, Tall, Grande, Venti, and Refill – Starbucks allusions that work well. When you order a coffee at Starbucks, the coffee tastes the same whether it is in a little cup or a huge one. Likewise, Bill has provided social media applications for a low tech teacher to a “venti” one. At the “short” end, Bill looks are collaborative learning without jumping in to too many web tools. Using Word forms and index cards, he illustrates how to move from a linear lecture to a simulated hyperlinked activity in a classroom. The “tall” chapter moves the concepts of community learning on to the web, primarily through internal blogging (such as the Blackboard 9 blogging feature, which allows for blogging within the walled garden of the class). He has some nice examples of teacher guidelines, some of which I am adopting for my fall class. He also addresses issues of safety and fair use when working with students in a web environment. At the ‘grande” level, he looks at moving this use of blogging outside the LMS to the open blogosphere. I like the guidelines to students that basically equate to “would your mother approve?”. I recently introduced a faculty member to blogging, and her first post (on Mel Gibson) singed my eyebrows! Students (and faculty) do need some guidelines, and Bill’s chapter gives some good ones. At the “venti” level, Bill is exploring tearing down the four walls and looking at what classes look like in hybrid settings (and remember, he is writing about middle and high school classes – what if you did not have to come to school every day?). His examples obviously work well at the college level, but are pretty radical for K-12. His “refill” chapter explores some fascinating questions. Will social networking be used to free students or more tightly limit their freedoms? What is the relationship between entertainment and education (or as I would suggest, what does learning look like in a web-enabled world?)? Is there enough time in one’s schedule for social networking? And finally, what should our schools aspire to? Regarding time, I read the first chapter of Clay Shirky‘s Cognitive Surplus last night, and he would suggest that we have plenty of time if we would just get off the TV! I will follow up with more from Shirky as I get deeper in the book. 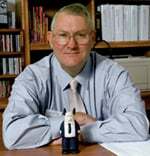 Kylene Beers wrote the foreword and titled it “Preparing Students for a World Gone Flat.” My blog has remained with the flat world theme even though that concept is morphing. Our students, be they K-12 or higher ed, are living in a web-enabled world and interacting in and through the web daily. It seems to me that too many of our instructional settings attempt to block out this reality rather than see it as an opportunity. Bill’s book does a good job of laying out options for teachers and faculty as they grapple with those opportunities. Faculty can order a short cup or a venti cup, but faculty at a minimum need to understand what students are tasting. Bill’s book gives some ways to start down that road. I like your statement, “Faculty can order a short cup or a venti cup, but faculty at a minimum need to understand what students are tasting.” I believe this is true, but it makes me think about other discussions we’ve had regarding perceptions of student use of technologies in general vs student use of technology for education. Perhaps students also need to be aware that faculty are serving up different sizes of “drinks” and in some cases are actually adding a (metophorical) “double shot”.